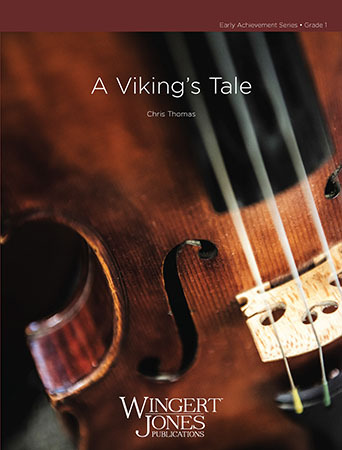 Experience the grit and barbarity of the vikings' life in this fierce piece for developing strings! Heavy, marcato melodies are passed to every section, using only notes of the G and D major scales in first position, plus a little third position in the bass. 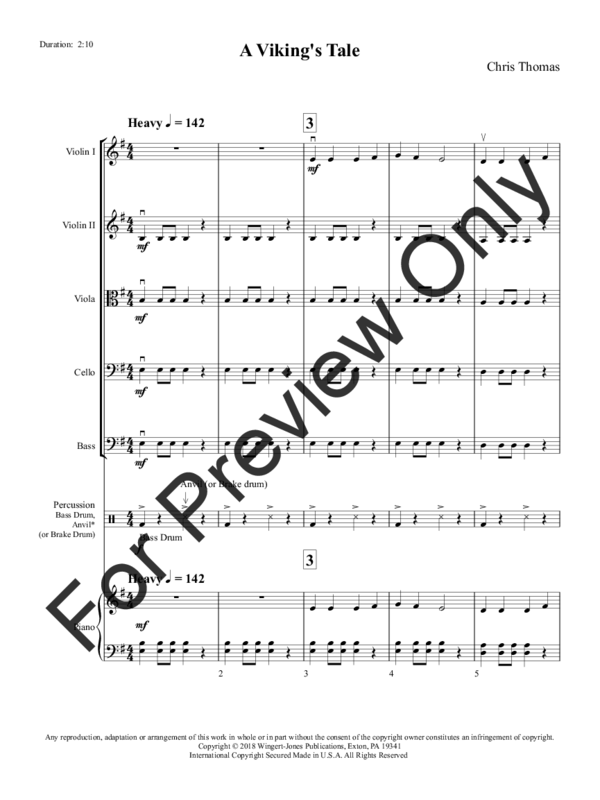 Dynamic contrasts, warrior cries, and optional bass drum and anvil add extra drama and excitement for your next concert. 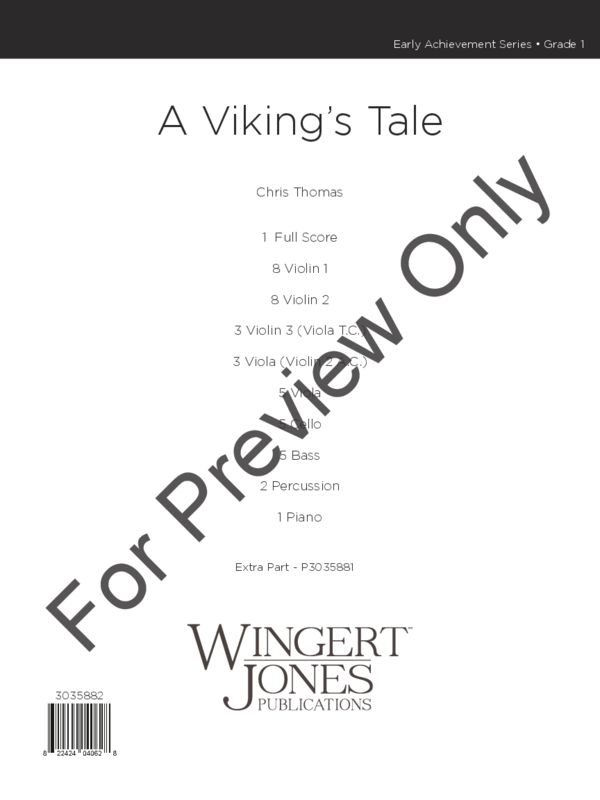 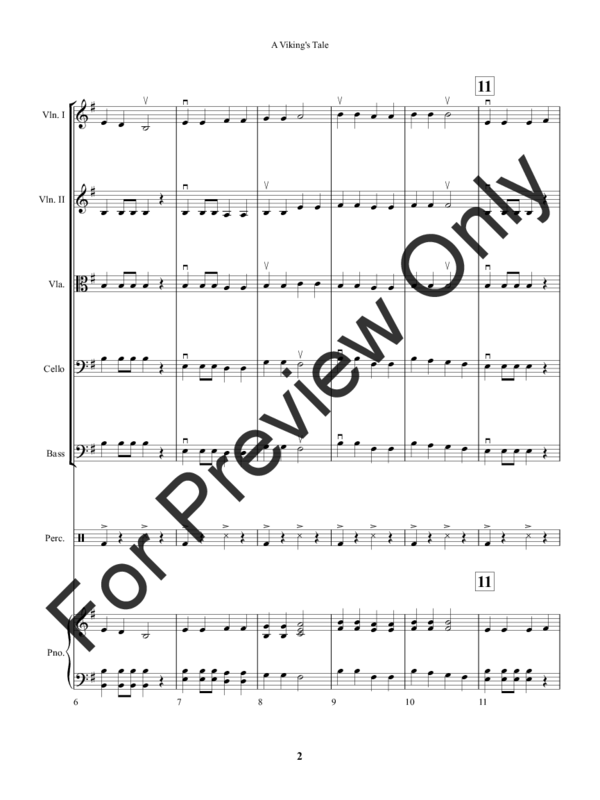 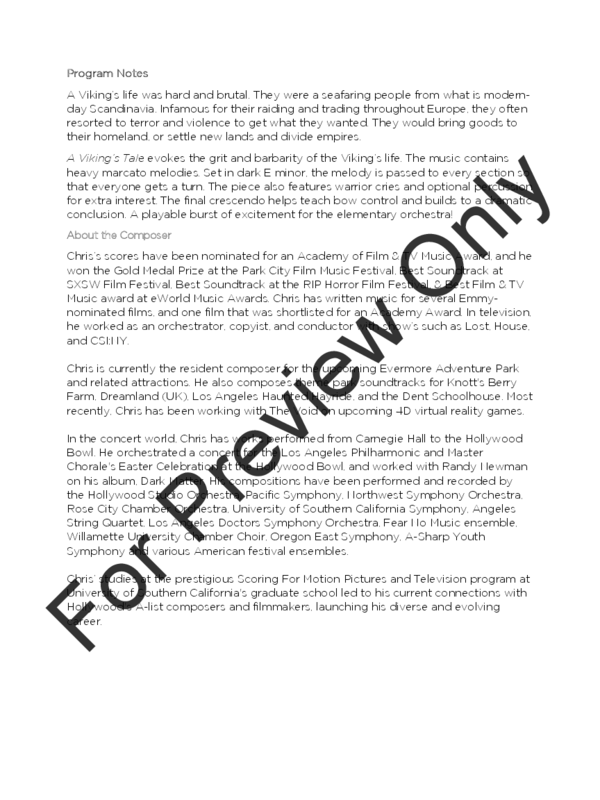 Includes violin 3 (viola in treble clef) and alternate viola (violin 2 in alto clef) parts.